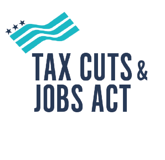 Buried within the mound of legislation affectionately called the Tax Cuts and Jobs Act of 2017 are a measly six pages that create a massive tax-savings opportunity for America. Sections 1400Z-1 and 1400Z-2, so obscure they didn't even get their own section number and settled for the last letter of the alphabet as an identifier, define a completely new tax incentive for Qualified Opportunity Zones and Qualified Opportunity Funds, which until recently have garnered little attention. Originally proposed by a member of Obama's economic team, the program intends to entice long-term private investments in distressed low-income communities by offering significant federal tax incentives to investors. Unlike similar tax incentive programs, which are limited in the development projects that qualify, require significant government approvals and red-tape, and traditionally accrue benefits only to major banks and developers, the new Opportunity Zone program is widely available to the public, much to our tax-savings delight. In short, individuals with taxable gains obtain tax benefits if they invest those gains in Qualified Opportunity Funds (QOF), and those QOF’s invest in Qualified Opportunity Zones (QOZ) (see map). That's the gist of it - 2,000 words of legislation and the revitalization of America's underserved communities boiled-down to 3 bullet points. Of course there's additional details and nuance that as Tax Warriors we'd love to sharpen our pencil, clean our eye-glasses and tell you about… but the Opportunity Zones Coalition did a bang-up job of that already in their letter to Treasury. So, we'll spend the rest of our time telling you who can benefit and how. Spoiler alert - everyone can benefit. I work a 9-to-5 job, have 3 kids and a mortgage, and spend my Labor Day eating a month's worth of hot dogs and burgers. I have a 401(k) and some personal investments I'm saving for retirement. I bought social media stocks and I am sitting with gains in FB, Apple and a high growth mutual fund. A tax-incentive has never been written for me before. Well, Miss, it seems this time you may be wrong . The law allows any taxable gains invested in a QOF to qualify for the benefits. That includes gains from the sale of stock or other assets in your portfolio. While publicly-traded QOF's haven't been established yet, it's likely they may be created soon. We are not suggesting you take your stock gains and reinvest them all in QOF's, but if your investment advisors are recommending diversification, this may be something to seriously consider. I'm a business owner and I just checked the map and found out I'm in a QOZ. What does this mean? Do I qualify for the benefits? Since the law requires QOZ assets be acquired after 12/31/2017, you don't qualify for the 10-year tax-free appreciation on the sale of your business unless you started your business in 2018. But your business likely just became much more attractive to QOF's, which are looking to invest in businesses just like yours. This could help facilitate a sale, improve the price, or fund the growth you need to take your business to the next level. If your business is looking to expand into a QOZ, selling a portion of your business to a QOF and re-investing the gain into a new location within a QOZ could allow you to defer that gain. If the second location is held for more than 10-years, the appreciation on the reinvested gain may be tax-free when you sell that. I'm a real estate developer looking at potential projects in a QOZ - Does this help me? Also, I’ve used federal (New Markets Tax Credit) and state (Keystone Opportunity Zone) tax credit programs in the past, can I continue to take advantage of these programs for projects in QOZ’s? Get ready for the fast ball…Substantial rehabilitation projects and new construction projects in QOZ's are home-runs. The appreciation on your project may be tax-free if it's held for at least 10 years prior to sale. However, you can't invest in the property directly, it must be through a QOF. Any corporation or partnership should work; a QOF can be as small as a two-partner project. Also remember only gains invested in QOF's qualify for the benefits, non-gain investments in a QOF will not qualify for the 10-tax-free appreciation. So you must time the acquisition to occur within 180-days after a taxable sale. The QOZ rules are silent on pairing existing federal and state tax credit programs with the Opportunity Zone program, so, if you meet the qualifications for these credits, you can enjoy the tax benefits from all eligible programs. What if I owned property in a QOZ as of 12/31/2017, but haven't yet developed it? You don't fit nicely into the law, but you may find a way into qualifying if you're open to admitting an unrelated QOF as a partner to fund the development costs. The law uses a 20% threshold for determining related parties, so you may sell the property to a QOF, and then make an investment in the QOF so you own less than 20% after the transaction. The gain you contribute to the QOF is deferred and your QOF interest could qualify for tax-free appreciation benefit if held 10 years or more. This would require complex structuring, but it's not off the table. You may take a carried interest in the QOF, though regulations should address this when issued. Should I buy rental properties in a QOZ? Rental properties likely won't qualify for the tax benefits. For real estate investments to qualify, the property must be substantially improved (improvement cost exceeding purchase price) to qualify. Remember, the goal of the program is to improve these areas, not simply maintain them as-is. I just sold my business and have a huge tax bill, but it wasn't in a Qualified Opportunity Zone. Can this law help me? As a matter of fact, it can. ANY taxable gains may be deferred by investing in a QOF within 180-days of sale. This includes the sale of stock, businesses, art work, real estate and even cryptocurrency. While there are no publicly traded QOF's yet, some of the major banks and brokerages are considering setting up QOF's for their clients. Remember it is best to have your full team - tax accountant, investment advisor and attorney - planning with you together. These tax benefits are all well and good, but I'm a nonprofit organization. I don't pay tax and have been improving these neighborhoods for years. Should I care? Charities, foundations, CDC's, CDE's, universities, hospitals and municipalities should heed the new law and work to educate investors and developers on its benefits. It may be just the extra juice that's needed to get a project off the ground. Until recently, Opportunity Zones haven't gotten the press they deserve. They can have a significant impact on our country's communities and offer tax benefits to a wide range of individuals. Regulations are much needed to clarify many uncertainties in the law as written, but the framework is clear. The Tax Warriors® at Drucker & Scaccetti are well versed in the nuances of the program and can help you understand how you may benefit. Contact us today to discuss your options.